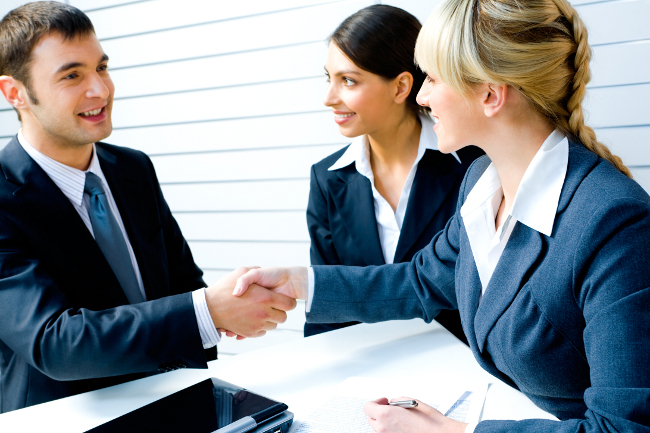 Great sales professionals with good reputations will have excellent communication skills. However, the key to their success will not all be in their talking abilities, as knowing when not to communicate can be just as important. Ask sales recruitment agencies in Warwickshire what they look for in candidates and effective communications will be high on their list. There are many attributes that successful sales professionals posses and which sales recruitment agencies in Warwickshire will be looking for, and being persistent is just one of them. If sales people stopped their interactions with a potential client on the first sign of a ‘no’, then they wouldn’t make it very far in their profession. However, continuing to contact prospects after they have categorically requested that you stop will not bring you any closer to a sale. It will bring you much closer to having a bad reputation as a nuisance and a pest. The skill is in listening to your contact, understanding the motives behind their decisions and acting, responding or following up accordingly. If you genuinely feel that you have just caught the contact at a bad time and you get a brush-off, but you feel that they really could benefit from what you have to offer, then ask them politely when might be a better time to call to explain how your product could benefit them. However they respond, it is important to respect it. If they are unwilling to give you a time frame, then make a suggestion which allows a long enough cool-down period. It might result in them being more receptive next time you call. But if you say in a month’s time, make sure it is just that. You will at least earn the respect that you can keep to your word. The key to great communications is not simply to deliver your messages clearly. More importantly, it is to listen carefully and understand what is communicated to you. The objective for all parties engaged in communications, sales-related or otherwise, is to understand that you have been understood. If different parties in a communication go away with different interpretations of what has been discussed, then the communication has effectively failed. If you feel that you have been unsuccessful with your phone calls, which can be particularly difficult, then follow up with a written communication thanking the prospect for the time they have spent talking to you. You will at least get the chance to enclose further information about your product. Newer PostAre You a Good Advert for Your Company?